As the holidays approach us, we will often see more and more people using this time of the year to reflect on the previous months and to genuinely give thanks for all that they have. However, it’s safe to say for most of us being thankful does not occur once a year or on a specific day or time of the month. We actually witness acts of thankfulness daily by individuals without even noticing or acknowledging it. How do you ask? With two simple words, THANK YOU.Think about it, how many times during the day do you hear or say the words “thank you”? Hmmm, more than you probably thought I bet. Thank you, two small yet powerful words. Yes, powerful. Have you ever noticed by simply saying THANK YOU, how it can actually change your mood or the outcome of the event and/or issue? 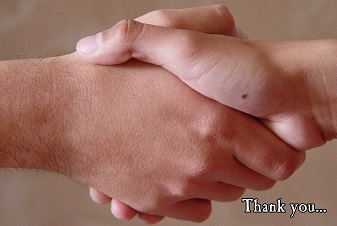 How do you feel when someone says thank you for something that you have done for them? Appreciated? Happy? So let us all be thankful for what we have, and in turn live happier and healthier lives. To schedule an appointment with Ben Novell, MS, LMFT, LPCC, Janelle Novell, LMFT, RPT-S or any of our therapists, please call 951-252-9911.